Light Up My Event services will help you make a dramatic statement at your upcoming Michigan wedding reception or celebration. What we like to do is walk into an empty venue and transform it with drapery and lighting to give you a breathtaking vibe. We have TONs of options when it comes to lighting design. To get a better feel for what we can offer you, please take a look at our lighting design page. If there is something you would like to inquire about, chances are we can recreate your exact look. All you have to do is send us sample photos of what you want and our team of lighting experts will do the rest. The difference between us and all the other companies is that we go the extra mile. You are given more choices with color selection. All of our lighting systems are computer controlled. This means we can change the lighting sequences throughout the night. You can choose from over Choose from over 16.5 million colors. We recommend bright vibrant colors because they will give you more saturation with the lighting. The brighter the color the more noticeable it will be. The most common lighting solution for events is room uplighting. However, if you are working with a space that has dark, stone, or wood paneled walls, it might not work the best. To help you with these decisions we will get information about you regarding the venue and it’s layout. Uplighting works best with neutral colors walls. When the wall style is beyond our control, that is when you have to think outside of the box with lighting. Some of our other services include draping and ceiling washes to accent other areas of your space. With lighting design, the possibilities are endless. You can also pin spot your center pieces to make them look larger than life. This looks amazing on big arrangements. It is important to know the size of your centerpieces when pinspoting. To cut on costs, clients sometimes use half small and half large arrangements. This would mean you would need half the pinspots. Don’t forget how memorable it would be to dance inside your name. We help you design a custom name monogram and project it on your dance floor or wall. You can even light pillars or crystal chandeliers to create the vibe you desire. 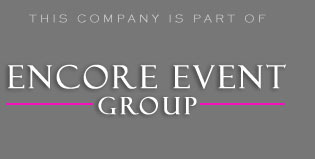 This company belongs to Encore Event Group, which means you can easily bundle a Michigan Photo Booth or Michigan DJ to same time and money. Visit Light Up My Event to learn more about the lighting design company in Michigan that specializes in making your guests say WOW.